I’ve come to the conclusion that we all have them. The voices in our head. For some of us, they’re louder than for others – and, for most of us, we need to stop them. Well, at least stop most of them. Perhaps some of the voices are helpful. But much of what we tell ourselves is not. 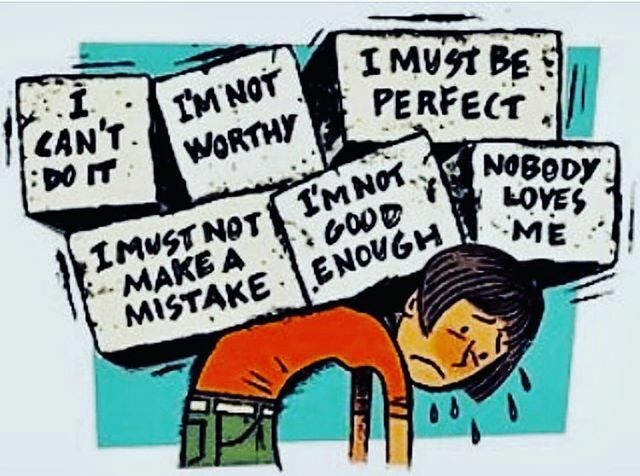 I’m on a crusade for my clients to stop their negative self-talk. To stop the comments they make to and about themselves. One client is focusing on increasing her self-compassion. She mentioned this to her husband, who pointed out the number of times she cursed at herself and called herself something she’d never call him. “Wow,” she said. “Do I really say that to myself?” She vowed to stop. We call ourselves idiots. We say things like, “I can’t believe I did that. What was I thinking? How could I be so dumb?” We tell ourselves we’ll never get something done, or get something done right, or accomplish what we want to. It has to stop. We wouldn’t treat people we work with, or live with, the way we treat ourselves. We wouldn’t let anyone talk to the people we respect, or love, the way we talk to ourselves. It has to stop. It has to stop because it doesn’t work. We are stronger, more effective leaders when we treat the people around us well, and we’re stronger, more effective leaders when we treat ourselves well too. We all respond better to positive reinforcement and feedback, even from ourselves. The second step is to find something else to tell yourself. It doesn’t necessarily have to be a positive affirmation, but you’d certainly do better with a few kind words, or at least realistic words. Have someone help you see the truth of what’s going on: You’re not an idiot, you made a mistake. You’re not stupid, you’re just learning. It’s not that you’ll never get it, it’s that you haven’t gotten it yet. Replace the negative self-talk with something that’s encouraging and supportive. They really have to stop, those voices in our heads. They’re not helping and they are hurting. Imagine all the extra energy we’d have if we weren’t beating ourselves up, or fighting against it. How have you stopped your voices? For help in finding voices that support you, contact Lisa at lkohn@chatsworthconsulting.com. About 5 hours ago from Thoughtful Leaders's Twitter via Hootsuite Inc. Yesterday from Thoughtful Leaders's Twitter via Hootsuite Inc.